Other configurations vary in price. Not all possible configurations shown. The LX100 bed is an entirely new design, engineered to withstand continuous and heavy use with thicker steel in the tubes and cross sections. The sawmill feet are bolted directly to the cross sections, so that the log is supported directly from the feet, not the frame. The cross sections are higher than the side tubes, so that it is easy to load logs onto the bed with a forklift, without having to drop or roll the logs onto the sawmill. Stainless steel caps for each cross section are optional. Sawhead xFRAME – The rigid, solid frame holds the control panel, the motor, and the sawmill head. The SAWHEAD xFRAME travels on side by side tandem steel bars of the bed frame. The difference between natural and artificial ice is that you can really see that it’s natural - there are bubbles, special cracks and shadows. Especially when you put light onto the ice, it’s more spectacular to look at. The life inside makes it unique. Which machine(s) do you want a quote for? 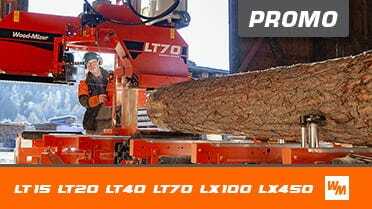 Yes, I want to get the monthly email newsletter for the latest promos and new products from Wood-Mizer!